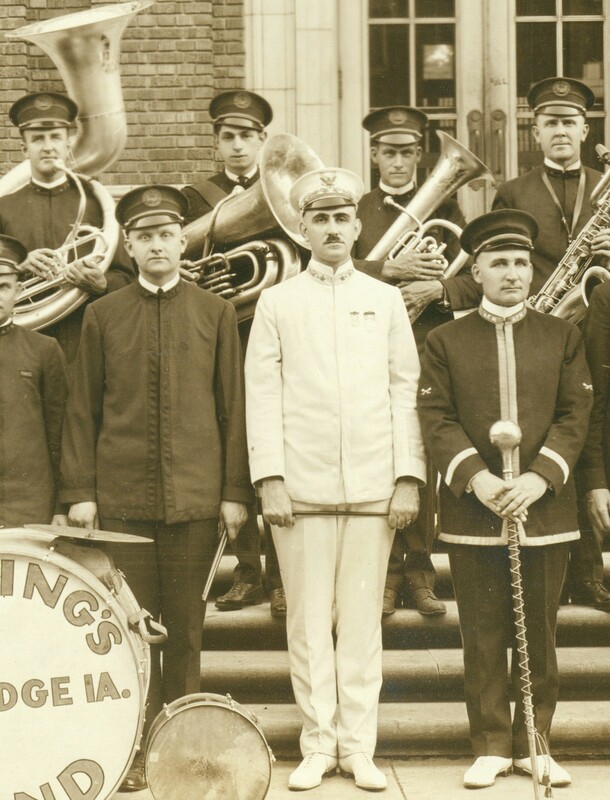 Flautist Joe Kautzky stands second from left in the front row; trumpet player Walt Engelbart is third player to the right of Karl King, who is wearing the white uniform. Carl Pray is the baritone sax player in the back row in front of the City Hall doors. The Online Photo Archive contains more information about these men and the history of the early bands of Fort Dodge.